We are approved by the California Department of Real Estate as 1 Attempt (At Your Pace Online) DRE Sponsor ID: 5198. Complete your continuing education to renew your CA real estate license today. All of our courses can be completed At Your Pace online in order to help you maintain your license. Once you finish your class you will have an official certificate of completion available to print or save in order to report your CE to the DRE. The California Department of Real Estate requires that Real Estate Brokers and Sales Agents complete 45 hours of continuing education every 4 years for license renewal. Complete the California 45 Hour 1st Time Salesperson Renewal Package. Our courses are approved for either your First Salesperson Renewal or any Subsequent Renewal. Our courses are approved for the First Broker Renewal and all Subsequent Renewals. Once you have completed your CE login to eLicense to complete your renewal application, enter your CE completion date, and pay the renewal fee to the DRE. This 45 hour package is specifically designed to meet ALL the requirements of Brokers first time renewal or subsequent renewal and Salespersons pursuing 2nd or subsequent renewal. This package covers risk management, trust fund, sources of financing, land use controls, TILA-RESPA Integrated Disclosure (TRID) forms, agency, investment in real estate, valuation of real estate, taxation, ethics, fair housing, lending laws, real estate contracts, and management and supervision of real estate professionals. This 45 hour continuing education package is specifically designed to allow salespersons in California to meet ALL the training requirements for renewing a license for the first time. This package looks at risk management, trust funds, sources of financing, land use control, lending laws, agency, investment in real estate, valuation of real property, taxation, ethics, fair housing, mathematics, and real estate contracts. This is an 18 hour course intended for real estate professionals in the State of California. The topics this course will cover are sources of financing, loan and loan programs, other methods of financing, land use control, integrated mortgage disclosures, agency and property management, business practices, investment, valuation, assessment, taxation, and title transfer. This 12 hour course will cover real estate mathematics, lending laws, listing agreements, sales agreements, leases, and the foreclosure process as it applies to real estate professionals in California. The course reviews math as a fundamental skill before discussing the often complicated calculations for real estate transactions, examines lending laws, looks at different real estate contracts, and talks about foreclosure. This 9 hour package of continuing education content will cover lending laws, listing agents, sales agreements, and leases as it applies to real estate professionals in California.The course focuses heavily on lending & disclosures before moving into a discussion of fraud & predatory lending. The course will conclude with a review of leases and common lease clauses. The primary topic of this 3 hour course for real estate professionals in California is the concept of ethics. This 3 hour continuing education course on agency is intended for real estate professionals in California looking to renew their licenses. This content of this 3 hour continuing education course will cover fair housing and anti-discrimination laws as they apply to California real estate professionals. This 3 hour course will cover financial records, financial reports, and mortgage loan brokerage as it applies to real estate professionals in the state of California. 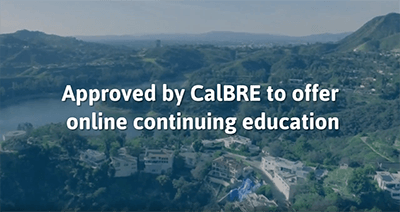 This 3 hour course for real estate professionals in California contains continuing education training on risk management, prevention, and reduction and legal responsibilities. This course on supervision and management, offices and licensees, and office policies and procedures contains 3 hours of continuing education content designed for real estate professionals in the State of California. This approval is permissive only and does not constitute a recommendation or endorsement of the course. 1. Continuing Education Regulation Sections 3006 though 3012.2 and Business and Professions Code Section 10170 through 10170.6 shall be complied with. 2. Any proposed change in content or method of presentation of this offering must be approved by the Department of Real Estate prior to use. 3. This certificate number and category of approval designated above shall be imprinted on all attendance certificates issued by the sponsor under this authorization. 4. 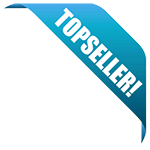 Only sponsor's name, offering title and first four digits of the Certificate Number shown above are authorized in advertising and/or promotion. Management and Supervision, 8-Hour Survey or Consumer Service) must be clearly stated in all advertising and/or promotion of this offering. 6. The Certificate Number shown above shall not be issued to any person who has not fully met all the completion requirements of this offering. September 23, 2018 - September 22, 2020.